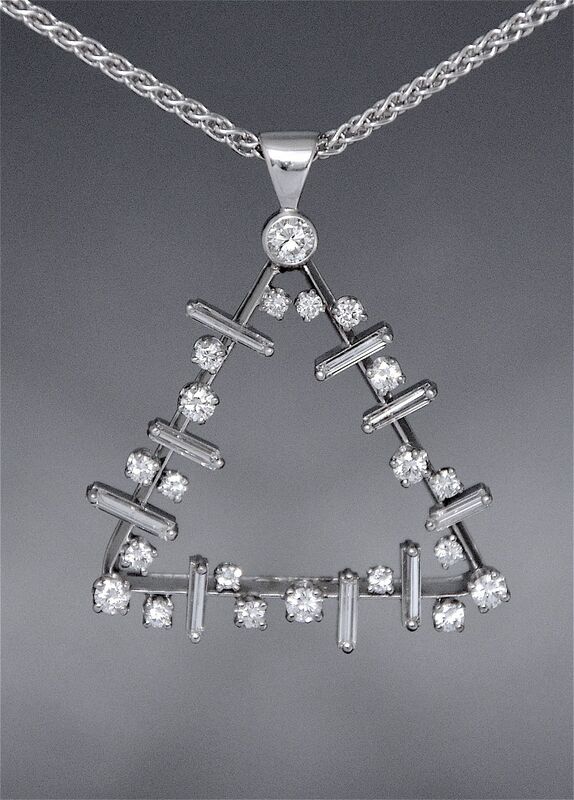 This elegant modern diamond pendant is made in 18ct white gold. It has a triangular frame with round and baguette cut diamonds scattered around it in claw and rubover settings with a larger round diamond set in a rubover setting at the apex of the triangle. The pendant is suspended from an 18ct white gold Spiga chain by a plain 18ct white gold loop. This is a "take you anywhere" piece.